UniKey, a pioneer in the development and execution of smart lock technologies, is building on its success with smartphone-controlled door locks in the United States. 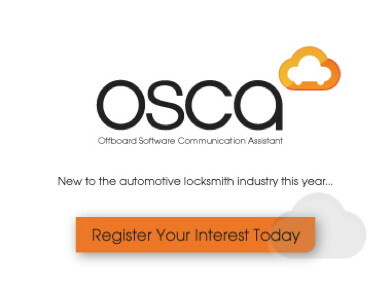 As automotive cybersecurity has become an increasingly heated concern, security researchers and auto giants have been locked in an uneasy standoff. Now one Detroit mega-carmaker has taken a first baby step toward cooperating with friendly car hackers, asking for their help in identifying and fixing its vehicles' security bugs. A security vendor says it discovered a flaw in Comcast's home security system that could let criminals break into houses undetected by using radio jamming equipment. Roto Frank AG started 2016 with a second strategic investment within a short space of time. Norbain has announced the release of Axis explosion protected network cameras. The cameras feature stainless steel housings and offer full HDTV resolution image quality. As tragic and hard to believe as it may be, 30 children died in 2014 of heatstroke from being left in a car unattended. In 2013 that number was 44, and while it is hoped that the number will continue to decrease, an average of 38 children have died every year since 1998 from being left in a car and getting heat stroke. From 1998 to 2014, 606 children died in total (US figures). Pro-Vision Distribution Limited, the national distributor of branded CCTV and Access Control equipment, have announced that they can now offer the latest additions to Bosch's impressive AutoDome cameras. Picky about which products you use? The new Generation 4 Electric Pick Gun from Tradelocks is the best pick gun set on the market - making the choice easy! When entrepreneurs Markus Schacht and Stephan Untiedt, managing partners of masunt in Germany, needed to source a digital cabinet lock that would give their range of key safe products a competitive edge, KitLock with NetCode provided the solution. With LockExpo just weeks away we begin our rolling showguide below, this week. A recent study performed by Transparency Market Research (TMR) projects that the global cloud security market will grow to a valuation of $11.8 billion by the year 2022. To put that into perspective, in 2014 TMR put the value of that same market at $4.5 billion. Pick slam locks and dead locks with this 2in1 pick and decoder from Tradelocks. Attention all auto locksmiths, the new must have tool has arrived, and at the fantastic introductory price of just £89 + VAT! Tradelocks supply products which make the life of the locksmith easier! AMG announces the launch of a completely new range of compact, industrial-grade 1, 2 & 4 port media converters, unmanaged and semi-managed switches. Designed and built in the UK, these ruggedised network devices are designed specifically for deployment in IP CCTV security applications where size constraints exist and where 24/7 reliability for high bandwidth external cameras is demanded. Traka key management systems are helping the Nestle packaging and ingredients site in York better its health and safety compliance process. The warehousing and logistics centre where the Traka key cabinets have been installed are being used to manage access to forklifts and other material handling equipment, as well as restricting access to sensitive areas. A building development can fairly be described as 'iconic' when it changes the very skyline of a city. That was the case in Islamabad, Pakistan, for Centaurus, a three-skyscraper complex -the tallest buildings in the city - all linked by a prestigious shopping mall. And, when the four-storey mall housing over 250 shops needed a powerful and effective surveillance system, they turned to Hikvision for high quality IP security video. Veracity, a leading provider of innovative, intelligent solutions that solve real-world IP video challenges in transmission, storage and display, reflects significant growth in the Middle East by announcing its presence on 5 stands at this year's show in Dubai. Veracity appointed Systematrix as their Manufacturer's Representative in the region in early 2015 and with the experience of the owner, Chetan Sathaye, and his team of four security sales professionals has seen significant growth across not only the Middle East, but also Africa and India. GJD, a leading British manufacturer of professional external detector equipment and LED illuminators, will again be proudly exhibiting at the Security Twenty 16 (ST16) conference and exhibition. 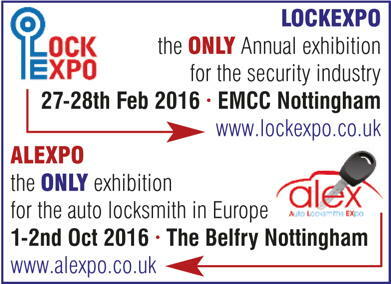 Taking place at the East Midlands Conference Centre in Nottingham on Thursday 4th February 2016, GJD at stand 29 will be showcasing its full range of innovative security solutions. Even at this late stage exhibitors are still booking. The Bring and Buy sale is attracting e-mails and the information can be found on the website. This year the annual Lockexpo at The EMCC, Nottingham University on the 27th and 28th February is a week earlier because of 'Mothers Day' on the 6th March so don't forget! The strength of ASSA ABLOY Security Solutions lies in its brands, which include some of the best-known and most trusted names in security. Yale is part of the ASSA ABLOY group, the global leader in door opening solutions. At Yale, we have the expertise and product range to protect the homes and possessions of our customers. We pour passion and pride into our products, making sure our locks lead the way in home security. Following on from the successful show last year, we will again have a selection of hardplate drill bits, plus numerous specialist drilling solutions for the locksmith, rotary burrs, step drills etc. Mastergrave Ltd is a leading supplier of engraving machines, tools, parts, accessories and consumables into the engraving industry. We will be showing our best selling engraving machines including the EGX-20 which at just £2199 is the cheapest computerised engraver on the market. We will also have our full colour printing system on show. Visit us and learn what personalisation can do! Windowparts Ltd is a market leader for spares, repairs, maintenance and retro-fit products for the double glazing industry. Through continued innovation and investment, Windowparts is able to respond to the ever increasing demand for UPVC and aluminium repair products. Our renowned "Flexi" range is designed to provide easy solutions for UPVC repair problems. Sponsored by Tradelocks the show is now only 6 weeks away; exhibitors are making sure they have plenty of bargains, and for the first time this year we will have a Bring and Buy area. Open to all to bring and offer for sale or to buy up bargains from fellow tradesmen - this area will be at the rear of the Atrium near the lock collectors. The Minister of State for Policing, Fire and Criminal Justice and Victims announced the launch of the SIA triennial review. Blackburn Council has granted the planning application for Chubb Fire & Security Limited's new Blackburn office, a high-performance workspace for hundreds of employees. Hickleys, the vehicle key programming specialist, are explaining the opportunities in key programming at presentations being held around the country throughout the year. Two dates for January 2016 are now available. Lockexpo changes up a gear now as the show approaches. Held on the 27th February from 0930 and continuing through Sunday the 28th until 1600. Sponsored by Tradelocks. Traka, the key and asset management specialist, has installed intelligent key cabinets at King Lifting, the UK's leading provider of lifting equipment and cranes, preventing a robbery that could have cost thousands of pounds. King Lifting installed the key cabinet under a trial period and it was during this time that the attempted robbery occurred. Over half of the UK population worry about their houses being burgled on a regular basis, according to new research. 53% of Brits said that they were worried about their homes being broken into, with 47% of these saying it is a regular concern and 6% admitting that they worry about it all of the time. Buy version 5 of the Jadoogar software and you will get Version 4 completely free saving you £450 +vat. Hickleys and the manufacturers of the amazing Jadoogar software are offering Version 4 free with version 5 throughout December. If you need to offer lost key services on Toyota vehicles including Remote keys & Smart keys you need look no further than Jadoogar Eeproming software. SSAIB, the UK and Ireland's leading security, fire and telecare certification body, has presented a range of certificates to Enfield Council's Public Safety Centre.